I started a few weeks ago to work out in the morning and I love it. 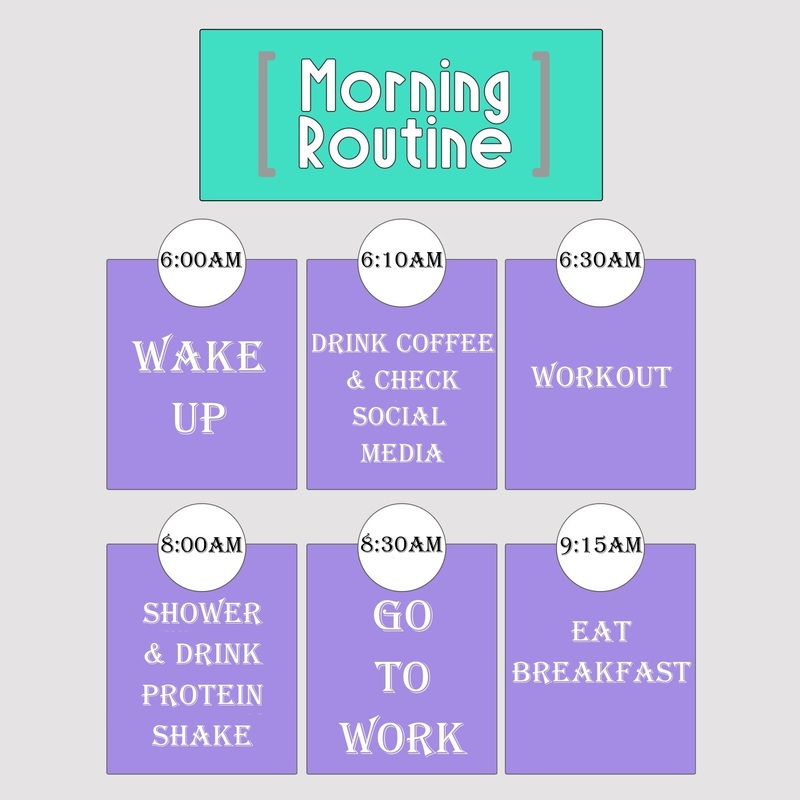 The trick to stay motivated is to have a routine and to always be prepared. I prepare my workout clothes, breakfast and snacks on the night before to save time in the morning. Having food with me is important, it helps me to never go hungry and to avoid binging. When my alarm goes off at 6 a.m., I head to the kitchen to make coffee. While I drink my coffee, I check all the social media and get dressed into my workout gear. I usually start my workout around 6:30 am and it lasts about 1-1,5 hours including dynamic warmup and cool-down stretching. I shower quickly, drink a protein shake, pack my breakfast & snacks and go to the train station. I need about 30-45 minutes to get to work. As soon as I get there, I check my emails and prioritize my tasks for that day while eating my breakfast.